I desperately want Gina Lollobrigida’s outfit! Doors open at 3:00pm / Show at 4:00pm / Bands finished at 8:00pm / Early Afternoon Show!! Guess this guy really likes his Sunday Fry Ups! “Fiery vomiting and venting in a menacing manner”. “Mr Yamamoto said he wasn’t sure why he and Bowie had such an affinity, but that “something resonated between us, something that went beyond nationalities, beyond gender”. Through his style and performances, he said, Bowie “broke one sexual taboo after another”. 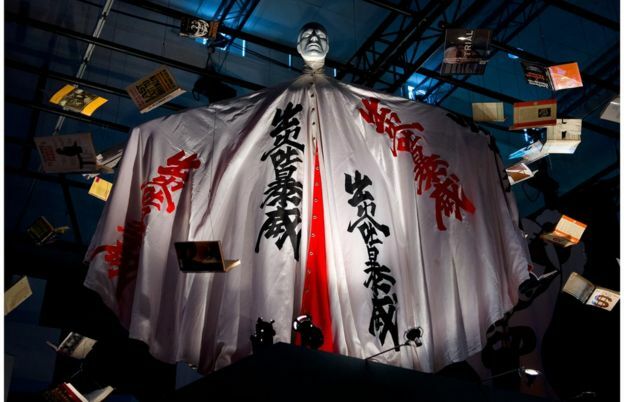 He also sometimes wore a kimono-inspired cape with traditional Japanese characters on it which spell out his name phonetically, but also translate to “fiery vomiting and venting in a menacing manner”.